BRV meetings are usually an informal gathering with a film or slide show to view, followed by a beer and pizza session at a nearby eatery. Stay tuned to this page and BRV emails for meeting dates and locations. 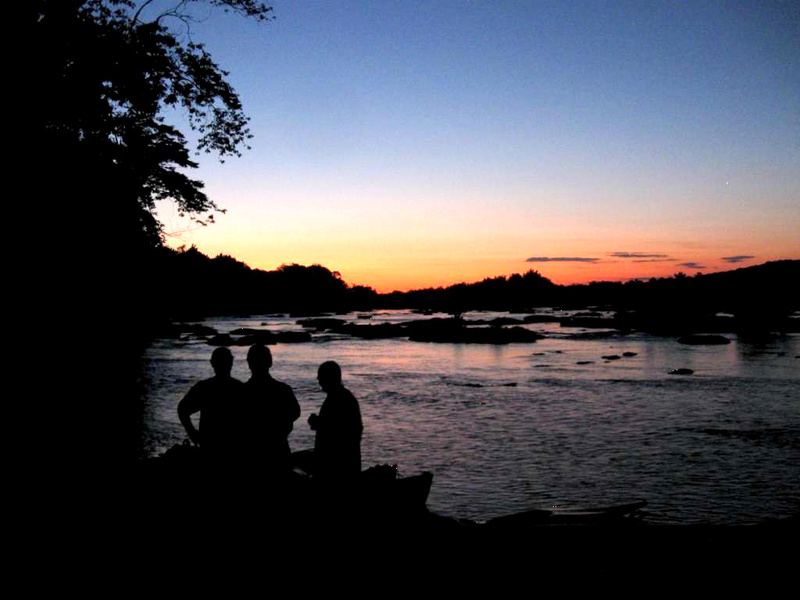 In July or August, the BRV has a Saturday evening moonlight picnic meeting on the Potomac. 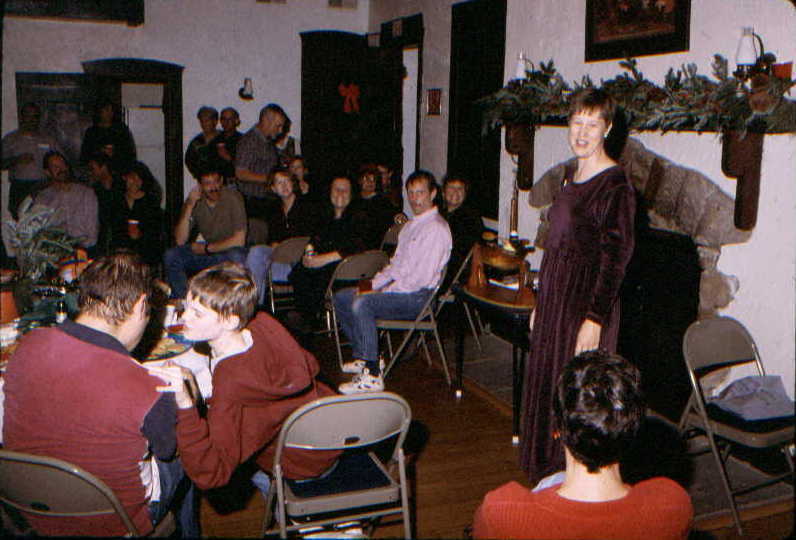 The last yearly event on BRV's schedule is the holiday pot-luck dinner party in early December. Non-members are welcome at any meeting. Any changes to the location or date of a meeting will be noted beforehand in The Voyageur newsletter; late-breaking changes are announced by email. 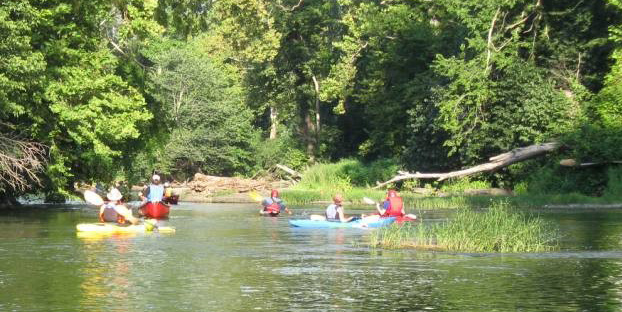 See BRV emails or check the BRV Trip Schedule for up dates on meetings. 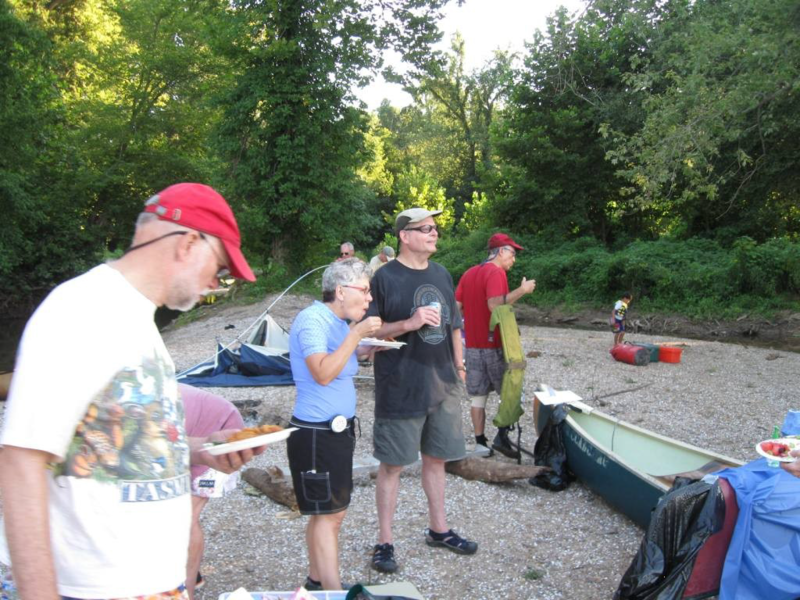 Following a brief period for socializing, meeting programs usually include a home-made video of a recent Smokies club trip, a slide presentation of a summer Western trip, a presentation by a local river conservation organization, or a slide or video presentation by a professional outfitter or whitewater photographer. Programs for upcoming meetings are announced in the club newsletter, The Voyageur. These meetings are followed by beer and pizza at a nearby pizza parlor. Club meeting dates are announced on the calendar page and by email. Meetings are currently held at the Clara Barton Community Center, 7425 MacArthur Blvd, in Cabin John, MD. Stay tuned for updates on our meeting locations. 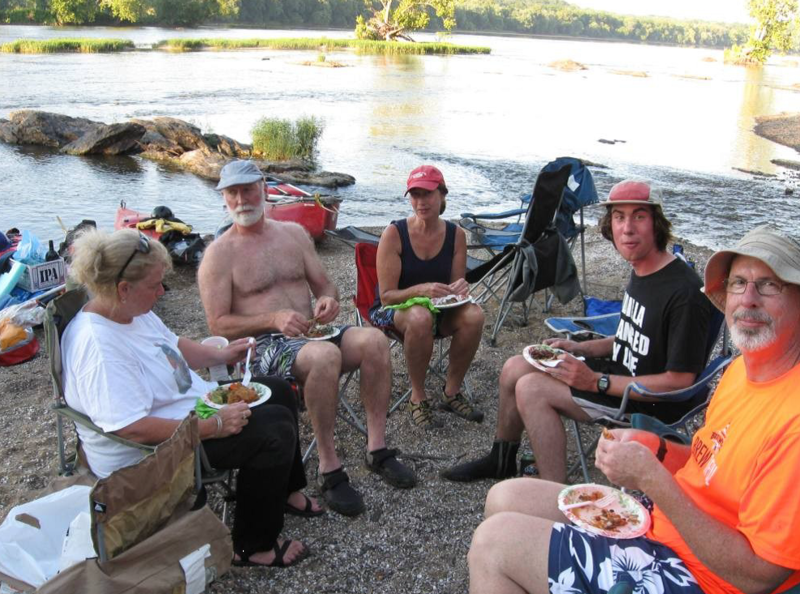 The summer picnic meeting is held on an island in the Potomac river. Members meet on the Saturday night closest to the full moon night in July or August. 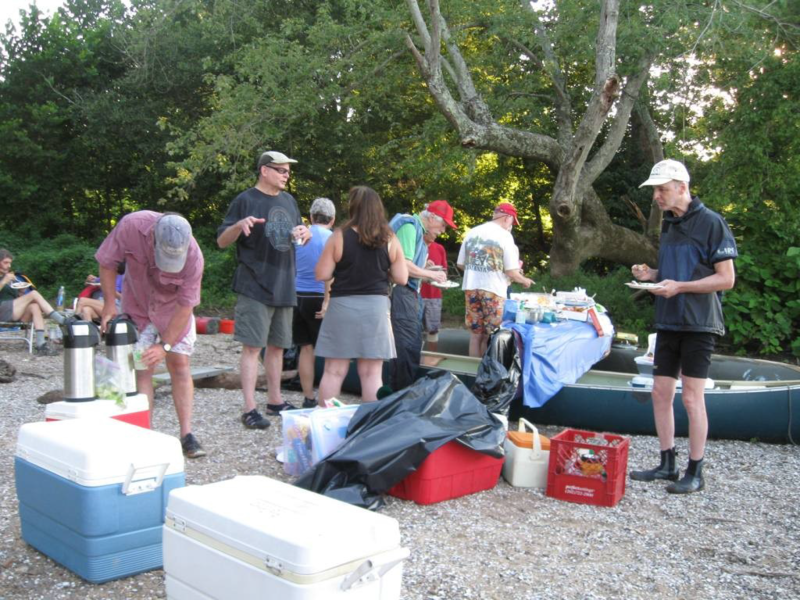 We paddle to an island in the middle of the Potomac, have a pot-luck dinner and brief meeting, socialize, and return via the Potomac and C&O canal by moonlight. This is a great family event! Details for this meeting are provided in the The Voyageur . 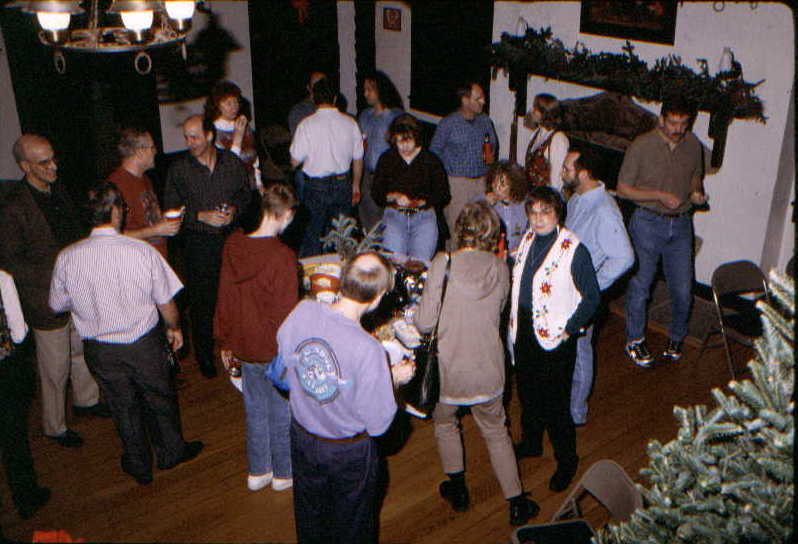 BRV’s 2018 Holiday Party took place Saturday December 8, at the usual location, the Lyon Village Community Center in Arlington, VA..
Members enjoying the 1998 Christmas Party/Meeting. 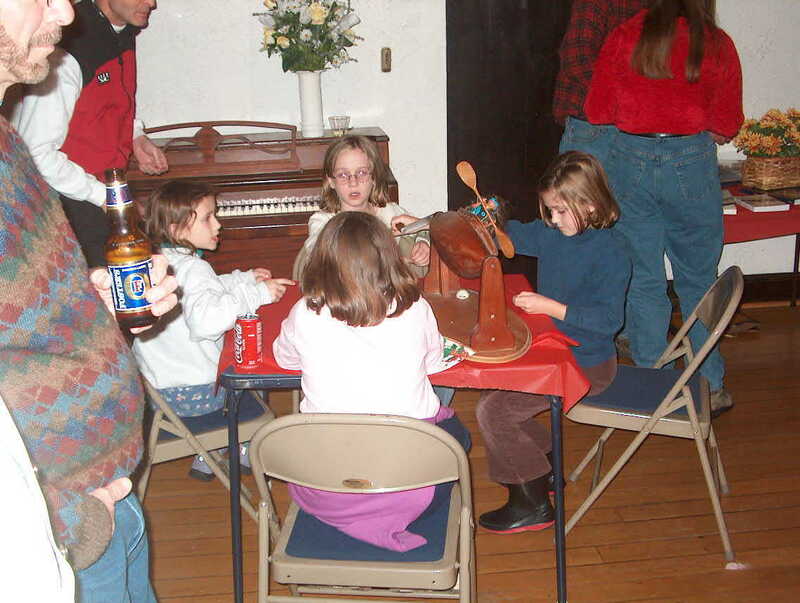 Drawing raffle tickets at the 2003 Christmas Party/Meeting.